Catalogs might work well for Ikea, but as a way to advertise a modern upscale furniture store they're a little low-brow. 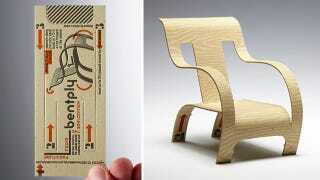 But a brilliantly designed business card that transforms into a miniature version of the furniture you sell? That's pure genius.